Tuesdays have notoriously revolved around Taco in the most recent years. Well, I am here today to throw a wrench in your #TacoTuesday creations with #EnchiladaTuesday. You’ve boosted your body properly all day and got in a killer workout, now it’s time to sit down for a healthy dinner. And today’s dinner is enchiladas. 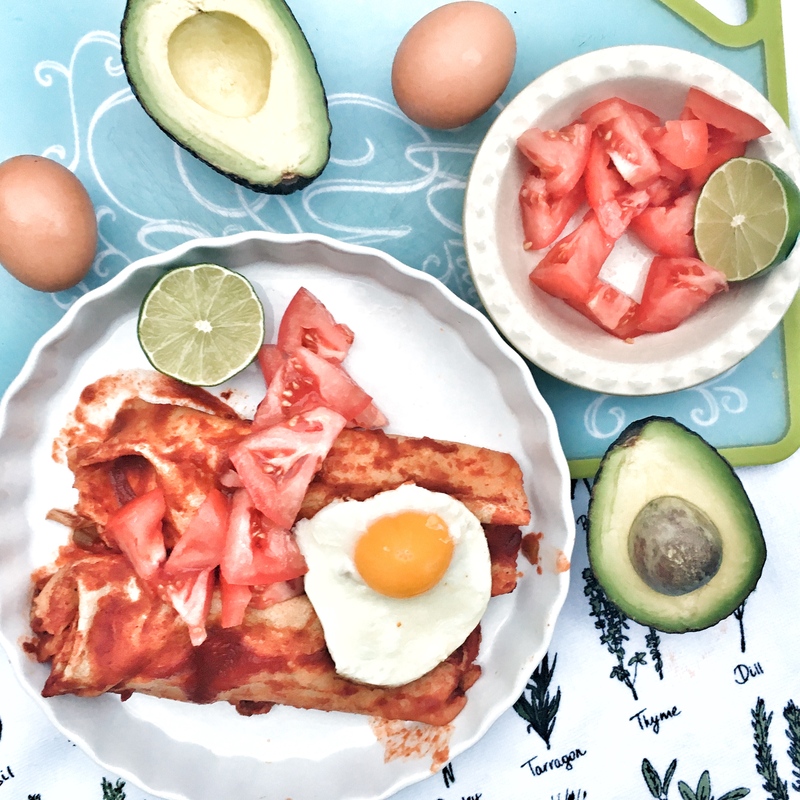 After scrolling through the internet I got inspired by ‘the whole smiths’ – Paleo Chicken Enchiladas. I am super impressed with how these turned out. Historically speaking enchiladas are filled with cheese and fats sitting in your stomach like a huge rock. These enchiladas as everything but that. They are refreshing, flavorful, gluten free, dairy free and pretty healthy. A winner all around. Clean the chicken and rub with the chipotle lime rub, place in nonstick pan over medium heat and cook until the chicken isn’t pink anymore. Approx 5-8 minutes on each side. Set aside. In a large saucepan, heat coconut oil over medium heat. Add garlic and cook for an additional two minutes, careful not to burn the garlic. Add crushed tomatoes, diced chiles and simmer until bubbly. You can also throw in some chili powder, cumin and whatever other seasons you have around that you think would taste good. In a large baking dish spread a thin layer of enchilada sauce in bottom of the dish. Generously spread some of the chicken filling into a wrap and roll. Place into the baking dish with the opening face down. Continue to stuff and roll wraps. Place snugly int the baking dish. Pour remaining enchilada sauce over enchiladas. Pull out and top with fresh tomato and avocado. Placing the fried egg on top is totally optional. I also had extra of the chicken mixture and placed into a container in the fridge for lunch tomorrow. 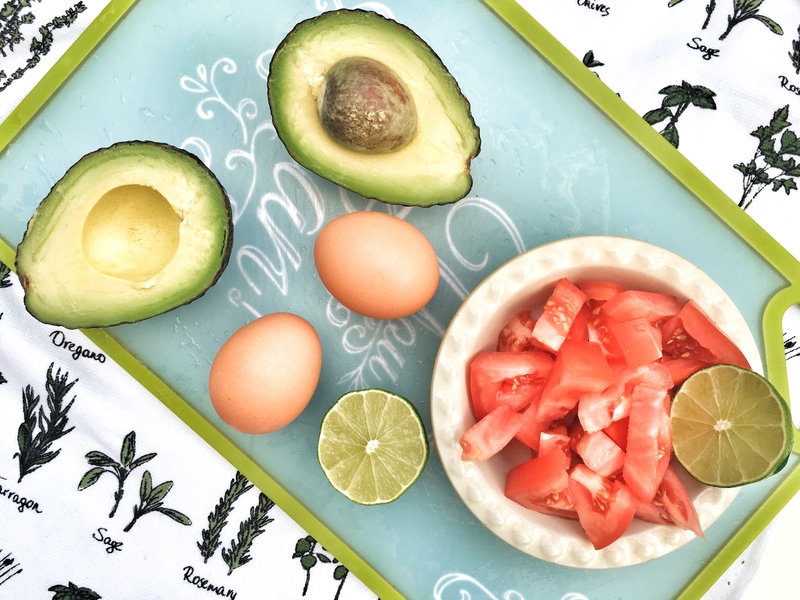 It will be as easy as pulling the container out of the fridge, adding some avocado and fresh tomato and maybe even throwing an egg on top!